The simple hashtag is used 125 million times a day on the social media platform Twitter, it was entered into the Oxford English Dictionary in 2014 and is believed to come from 14th Century Latin as an abbreviation for the pound weight “lb”. In Digital Marketing and Social Media Optimisation terms, adding a hashtag to a word or phrase allows it to be indexed by the social site it is being used on, and it becomes a searchable or discoverable term. Be unique, many use the # to raise awareness of a brand or product. The more individual it is the more chance it will spread, but you must also remain representative of the brand guidelines to be recognisable. Don’t be vague or misleading with a #. Use the # for promotion, but it will take time to gather steam across social media networks. Be creative, the # is only as strong as it is useable. Lengthy, complicated hashtags won’t catch on. Abbreviate shows or events, for example “Fashion Exhibition of Modern Art” becomes #FEMA2019. Consider hidden words, spaces, shortenings and misspelling of words. Making inappropriate hashtags will get you noticed on social media for the wrong reasons. As will confusing your # with another. 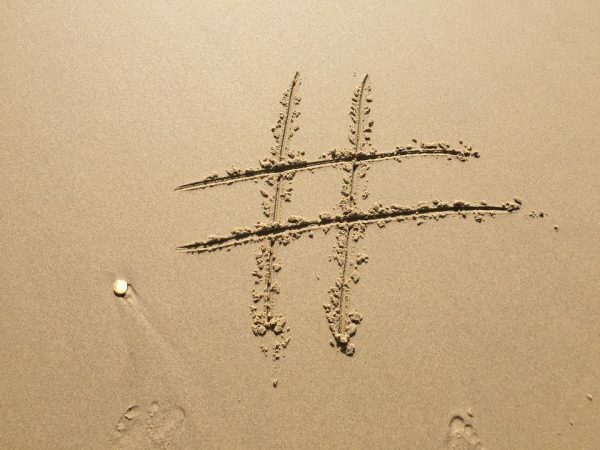 Less is more, never overload a specific event or product with hashtags. One or two is enough so consumers can pick up the # and use it themselves. Keep it short and sweet. All are memorable, all are simple, all clearly identify what the association or theme is and all could be used by business and consumer. There are lots of hashtag generators available online, and it is relatively straightforward to see what competitors are using by searching Social networks. The hashtag can provide an insight into what performs well. If a business is considering selling a particular product they could research hashtags across social media associated with that type of product. For example a sports shoe designer could look for #sportswear #sportsshoe #shoeforsport. The key for a good Digital Marketing strategy involving the # is to gather the information and improve upon it. Potential sports shoe customers may already be following #sportsshoe, by using #sportsshoe and then adding a unique hashtag related to their new product, businesses can engage with a market that is likely to be interested in what they are selling. Hashtags can be used to create awareness of public issues or incidents. In 2007 a San Diego resident tagged social media messages with #sandiegoonfire to inform people about wildfires in the area. Charities regularly use the # and organisations can associate themselves with it. #SaferInternetDay2019 or #SID2019 was picked up by the BCC, NSPCC, schools, youth groups and businesses. The # groups all information surrounding a topic, it can direct users to the main source, and provide links to other associations on social media platforms. The hashtag; not only a clever digital marketing tool, a great way to filter through the multitude of online social media information. For help with your social media optimisation, digital marketing strategy or any other aspect of online marketing, get in touch today.